The model has been designed for the Victoria & Albert Museum in London. 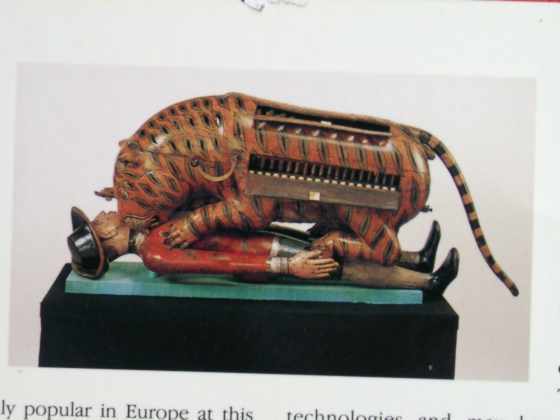 A tiger falls upon an English soldier who lies on the ground and bites him several times. This model is inspired by a musical box, which had been made for the Indian prince Tipu Sultan in the 18th century. You will find more details about this model and the historical background in my lecture during the 14. International Cardboard Modelers Convention on April 28th 2002 in Bremerhaven/Germany.